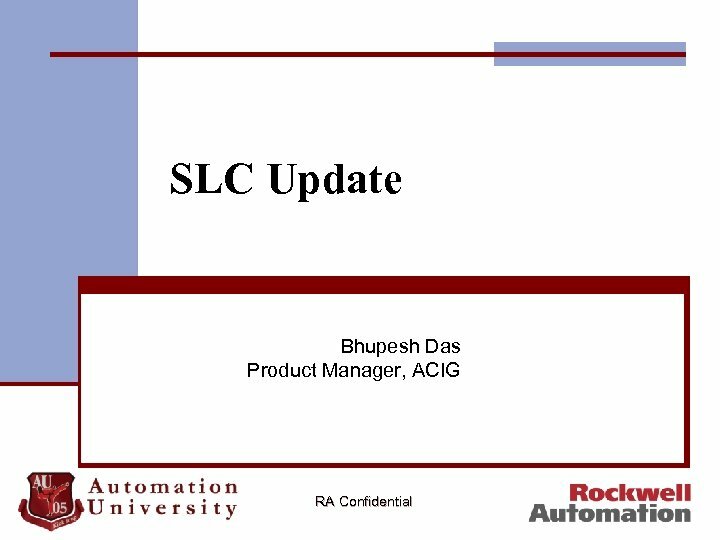 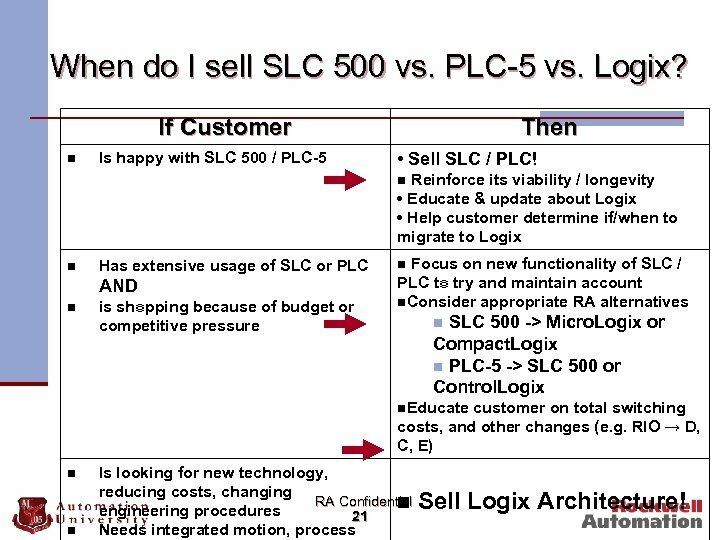 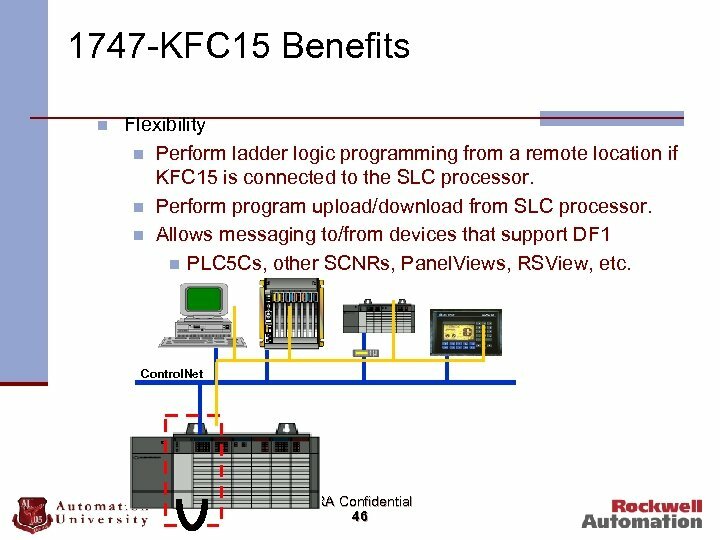 When do I sell SLC 500 vs. PLC-5 vs. Logix? 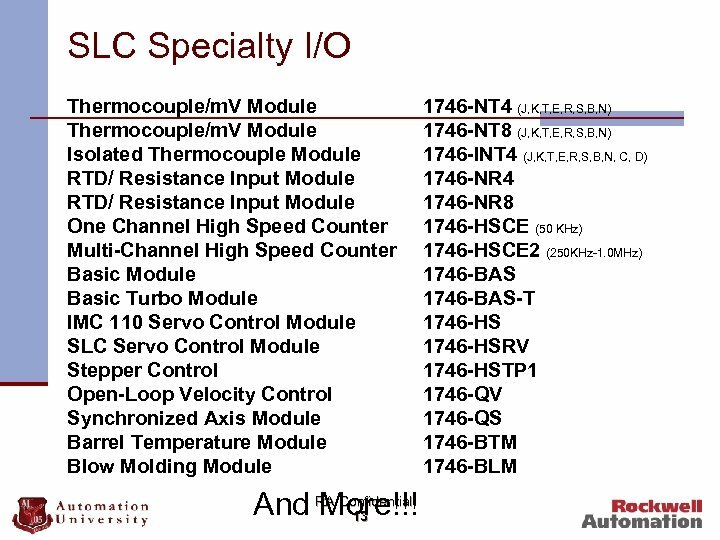 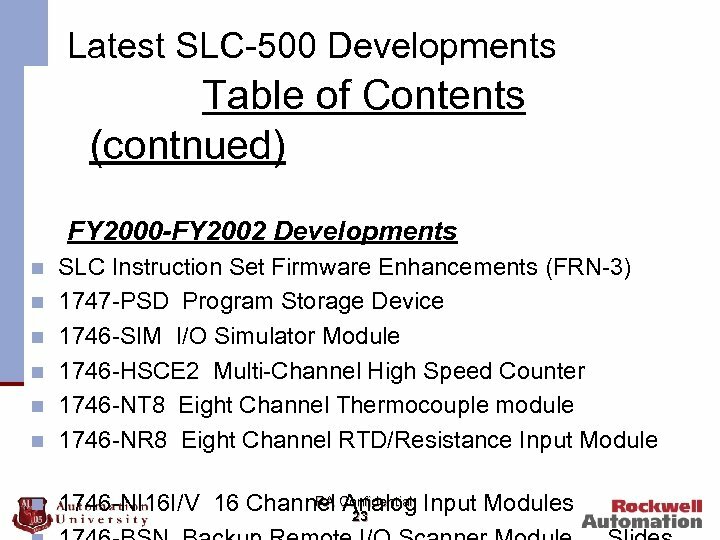 If Customer n Is happy with SLC 500 / PLC-5 Then • Sell SLC / PLC! 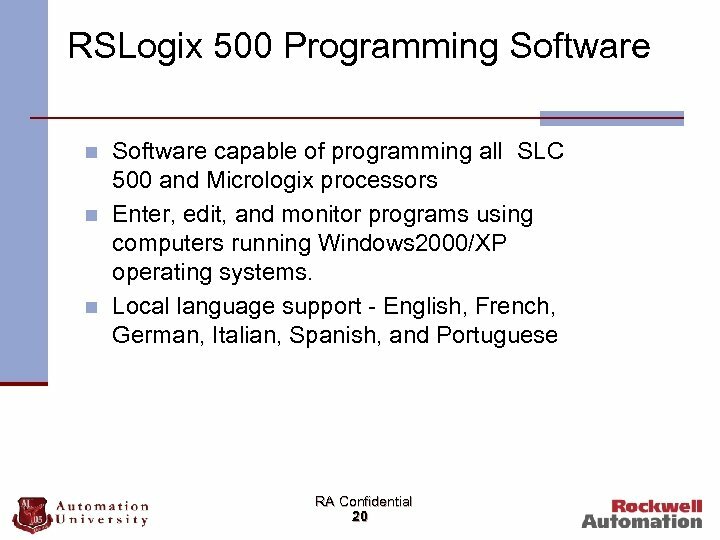 Reinforce its viability / longevity • Educate & update about Logix • Help customer determine if/when to migrate to Logix n n Has extensive usage of SLC or PLC AND n is shopping because of budget or competitive pressure Focus on new functionality of SLC / PLC to try and maintain account n. Consider appropriate RA alternatives n SLC 500 -> Micro. 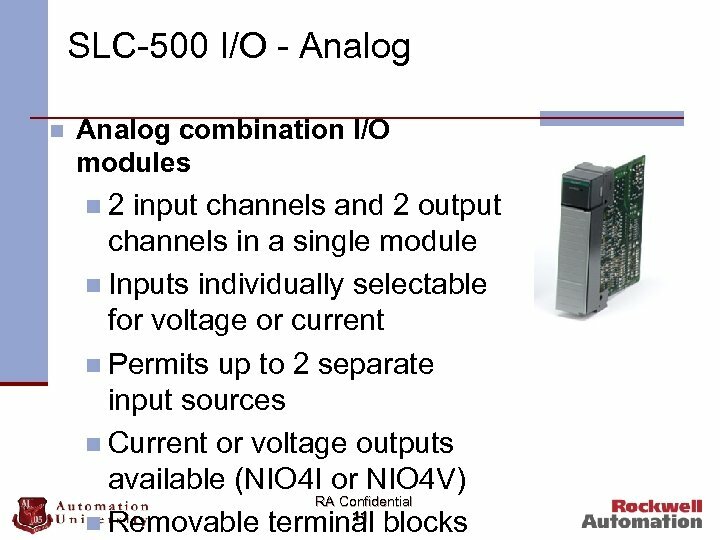 Logix or Compact. 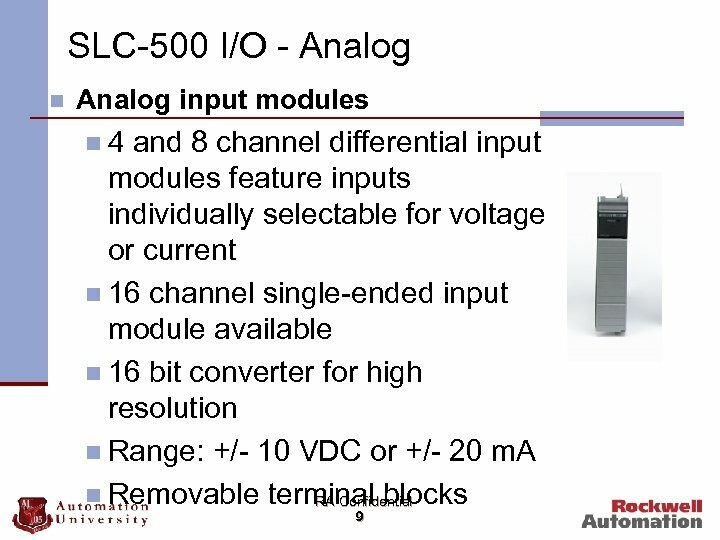 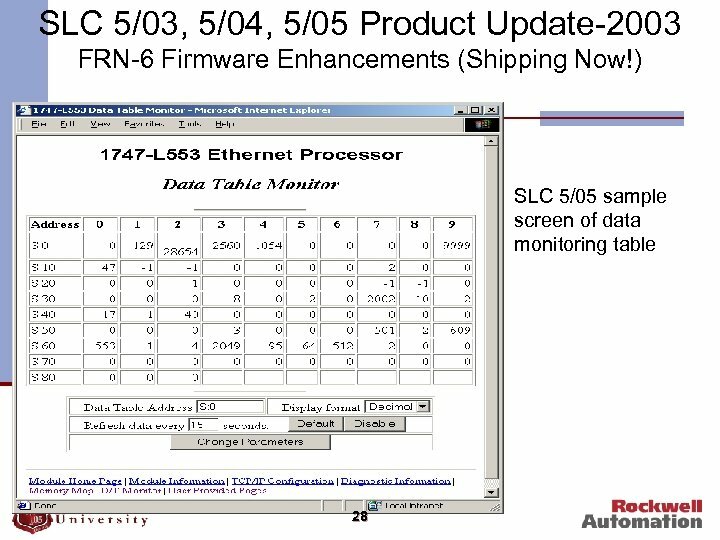 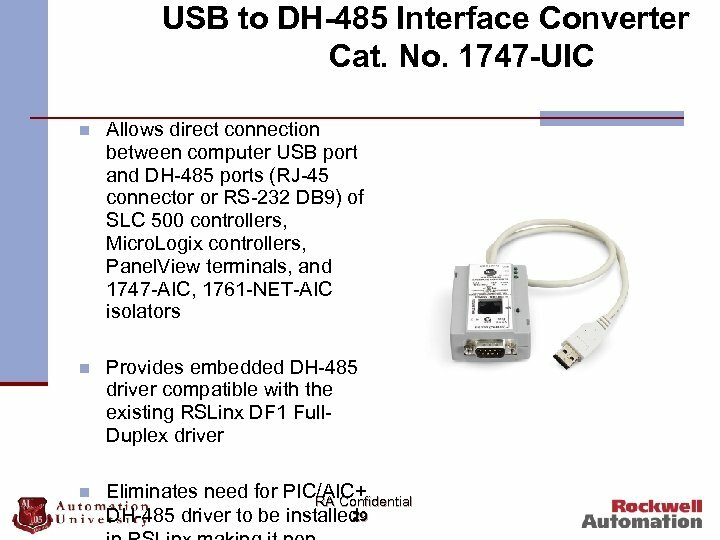 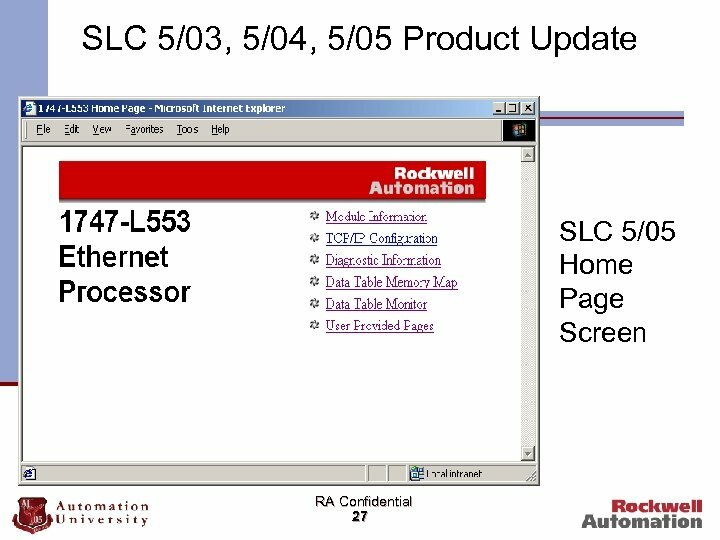 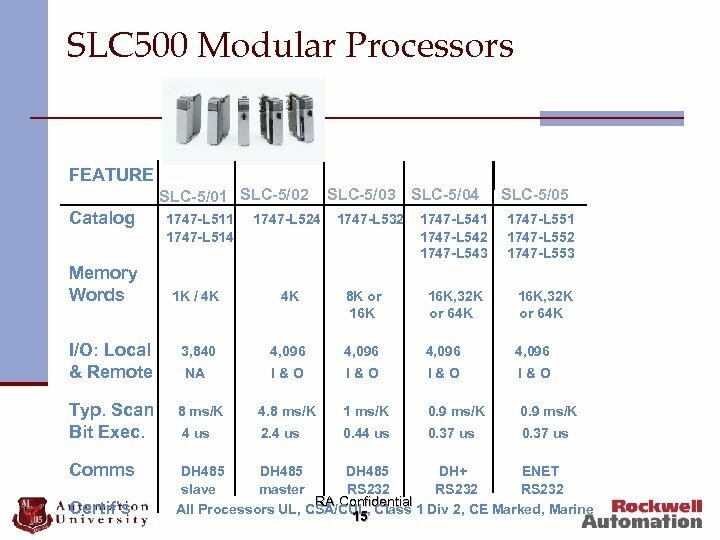 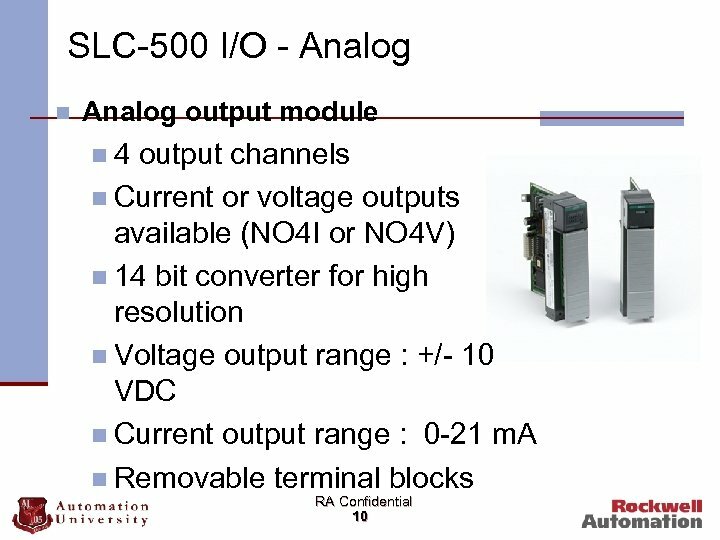 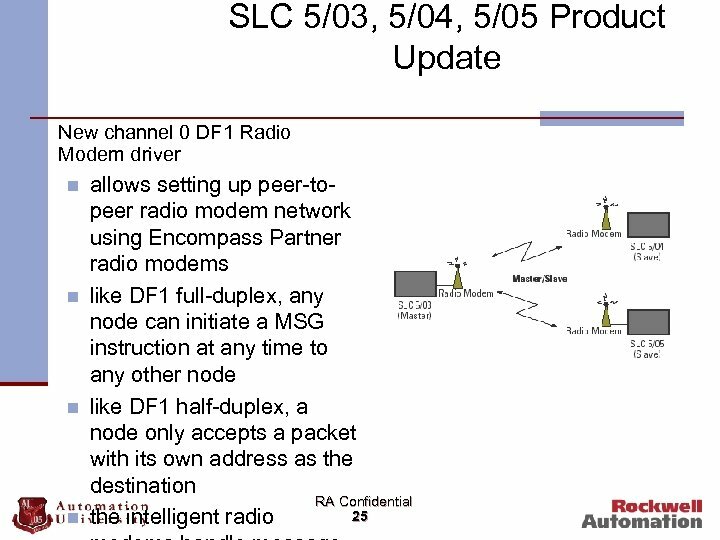 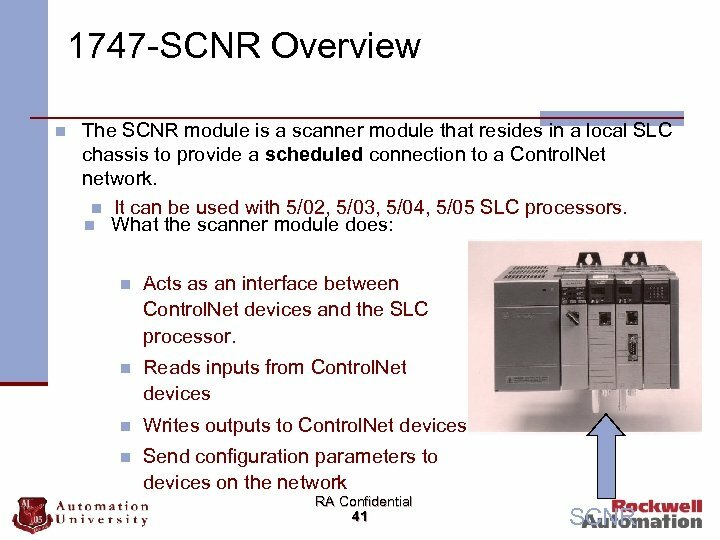 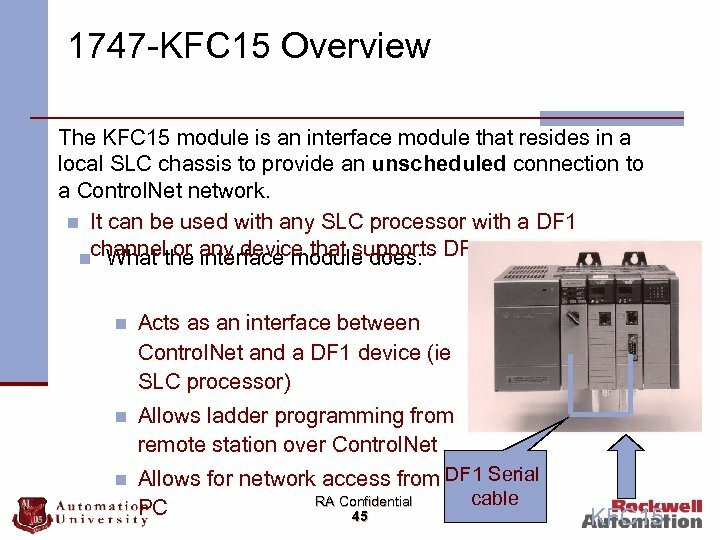 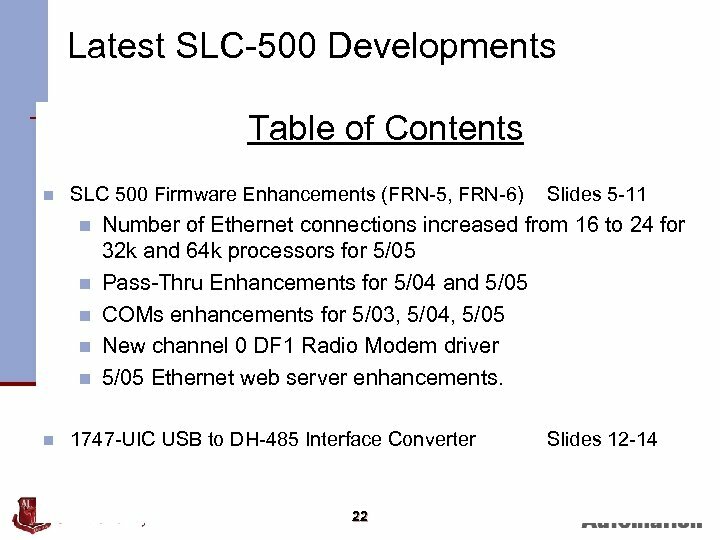 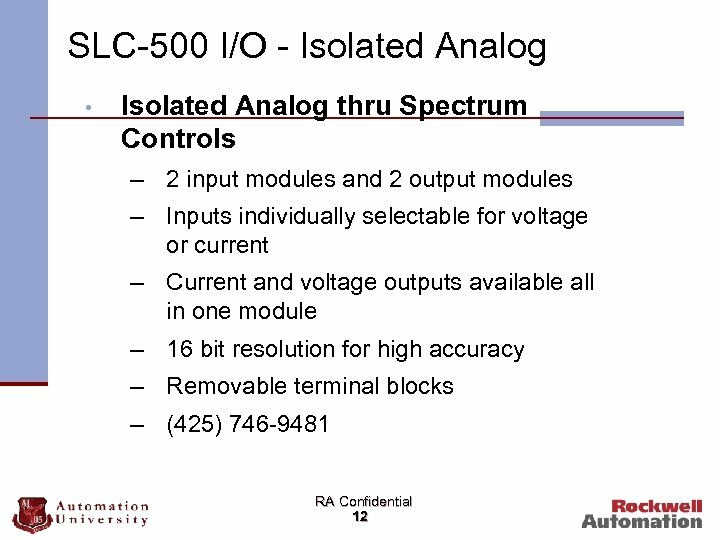 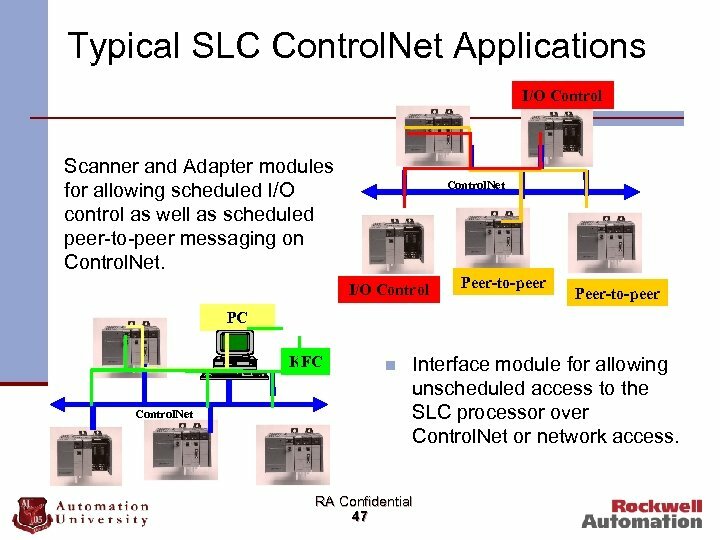 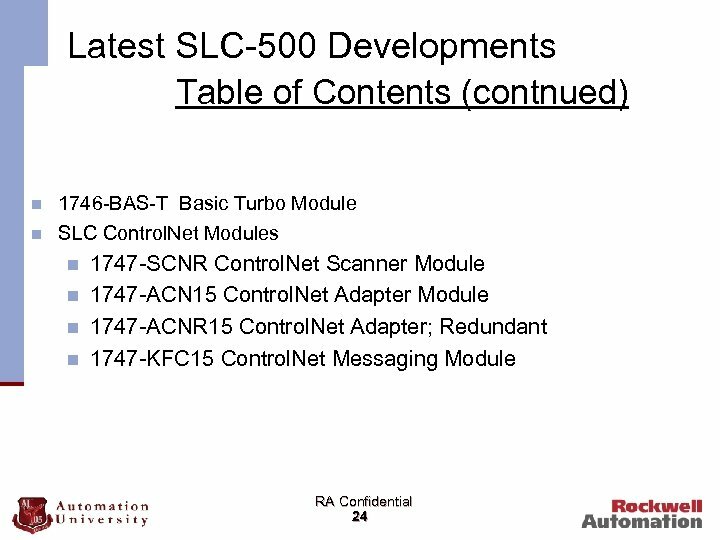 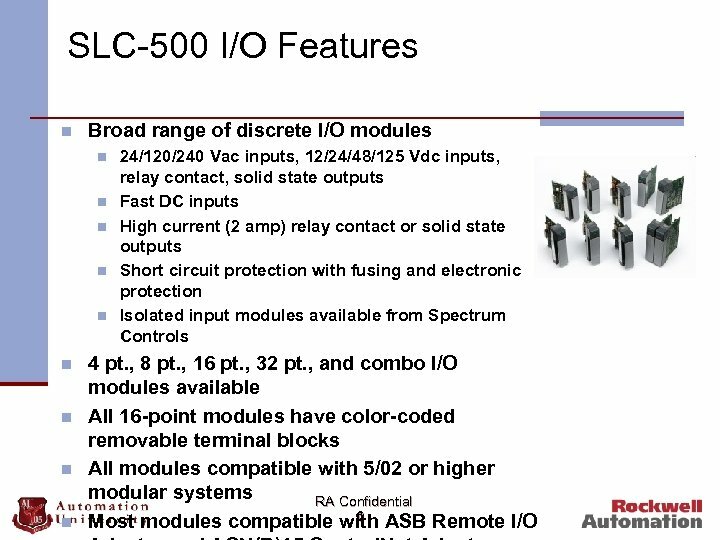 Logix n PLC-5 -> SLC 500 or Control. 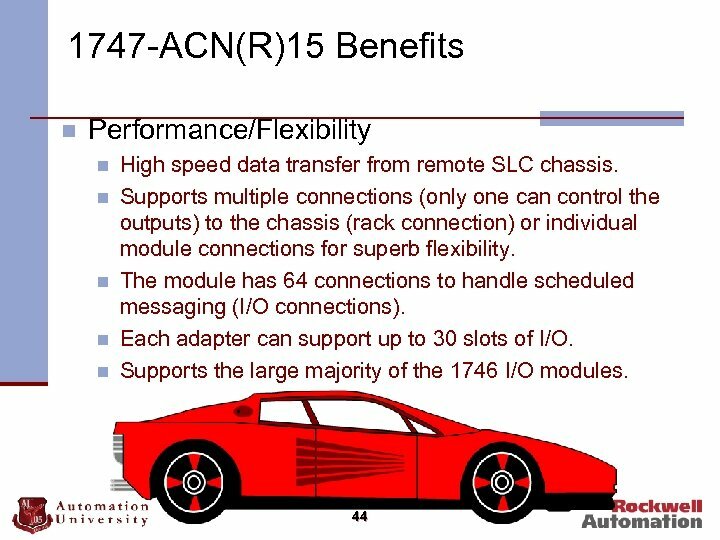 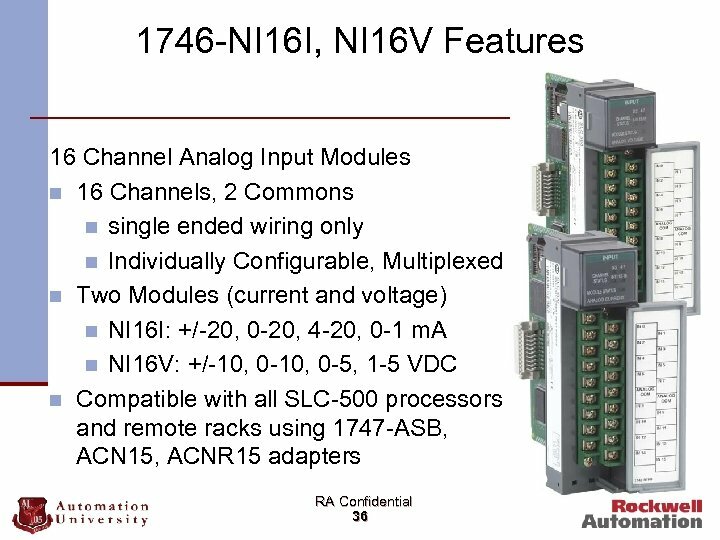 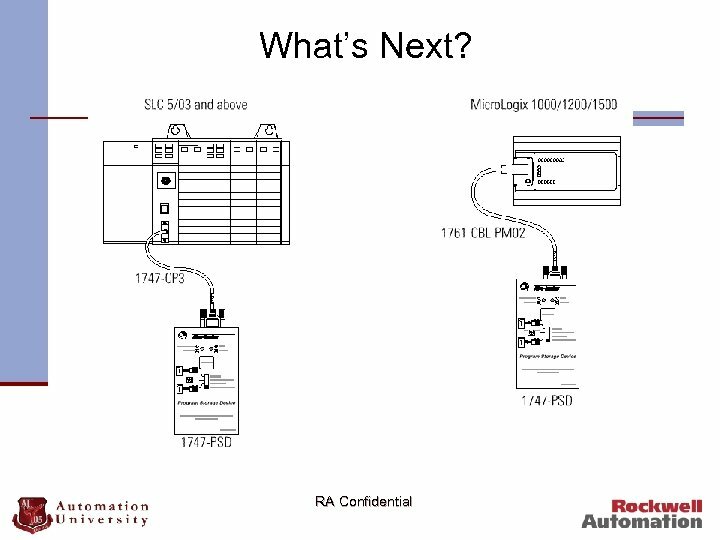 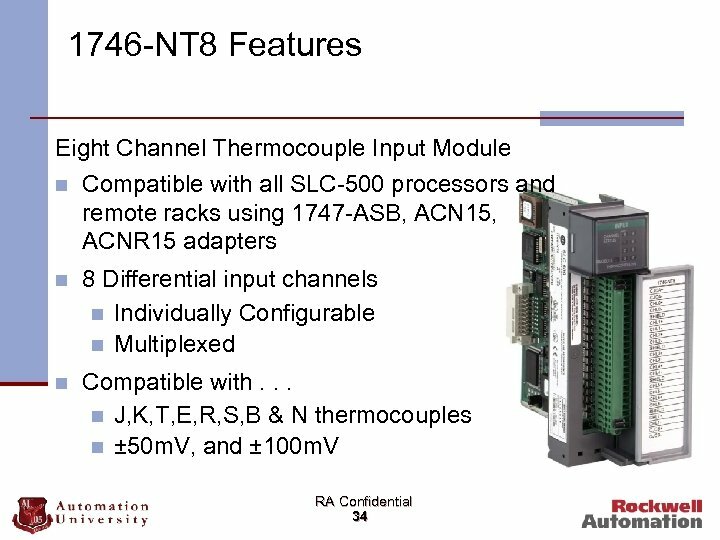 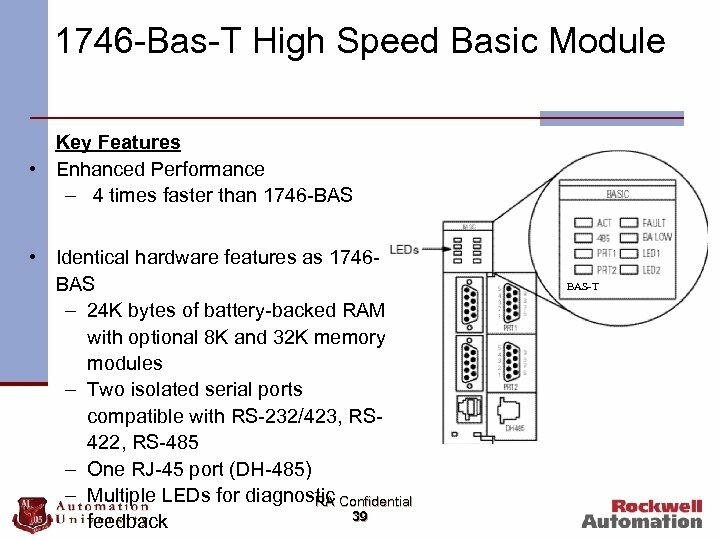 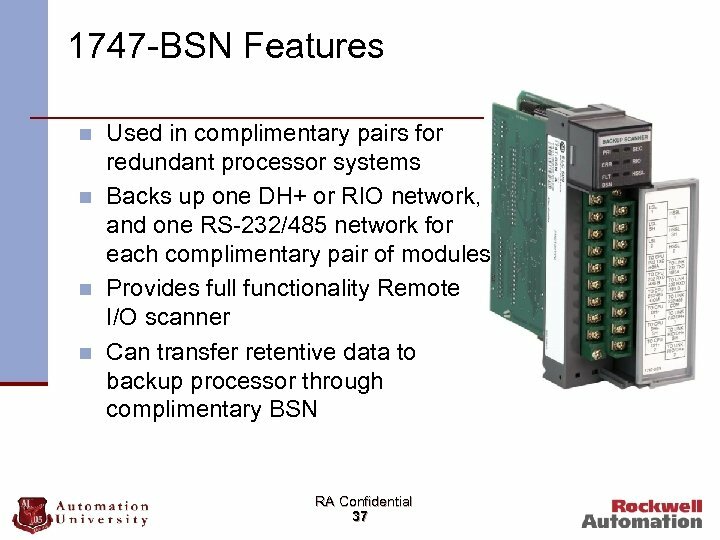 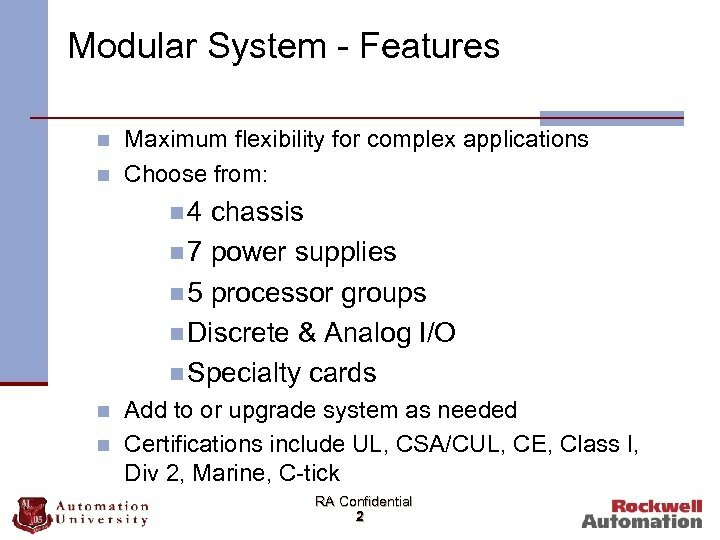 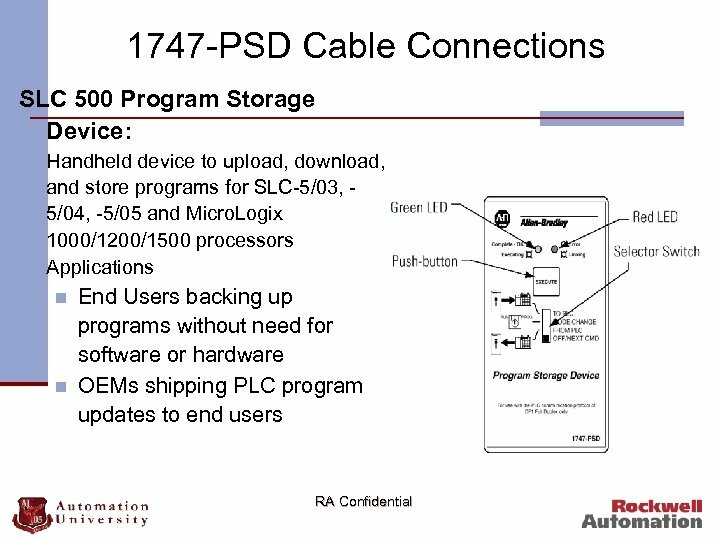 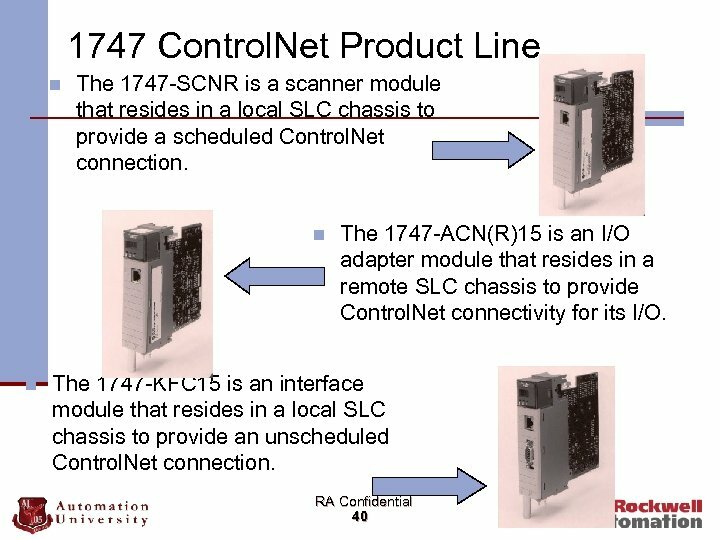 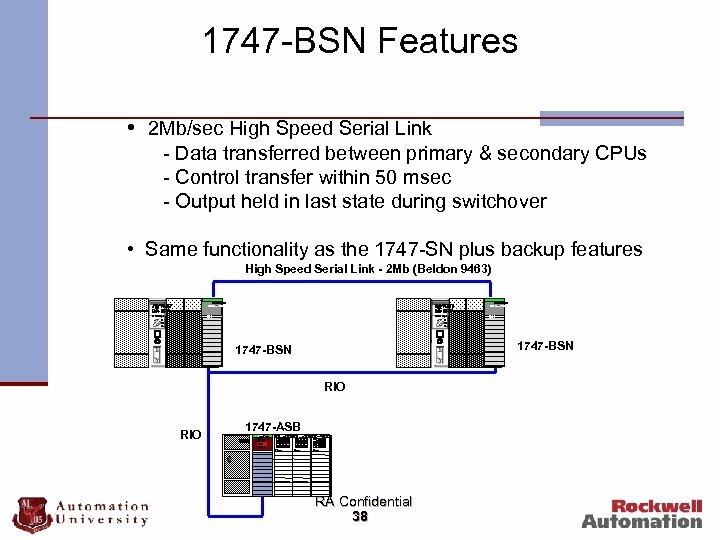 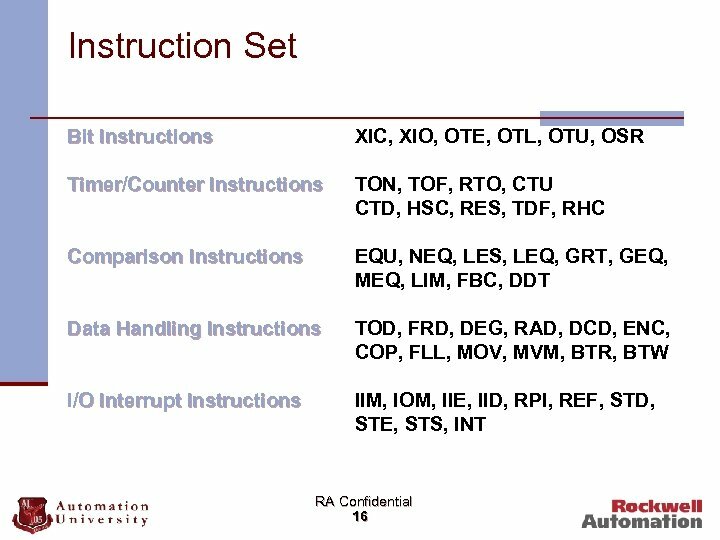 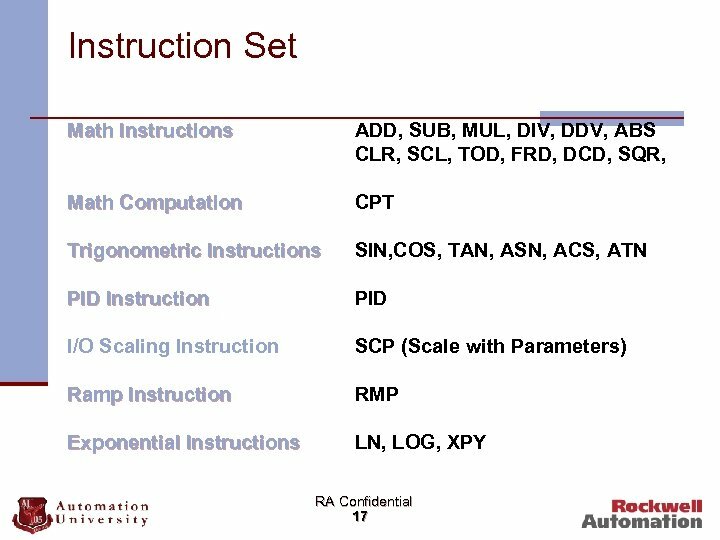 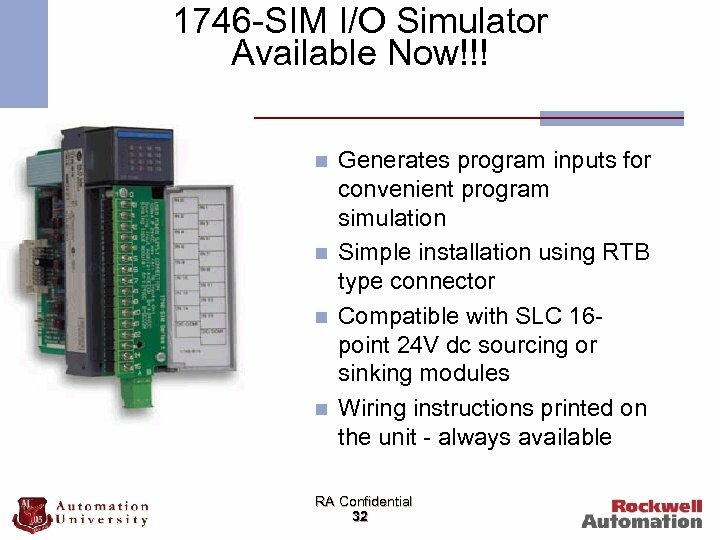 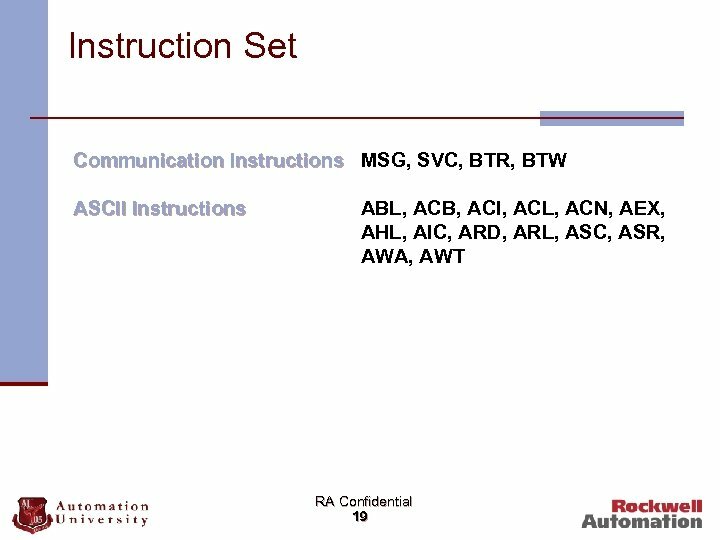 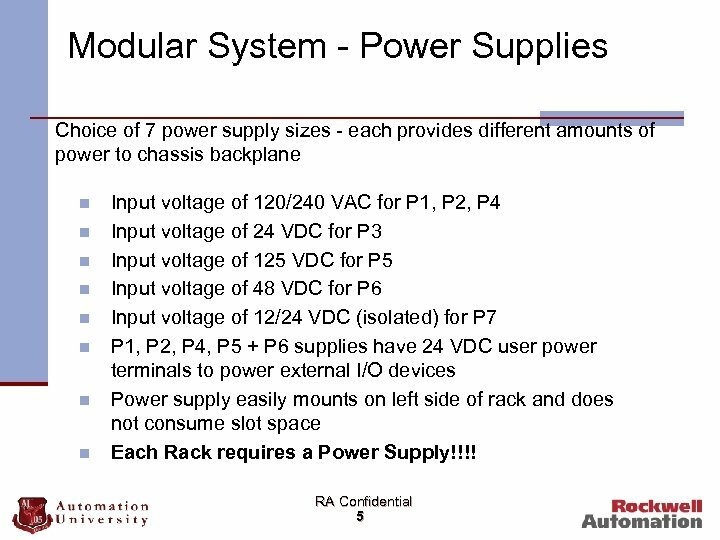 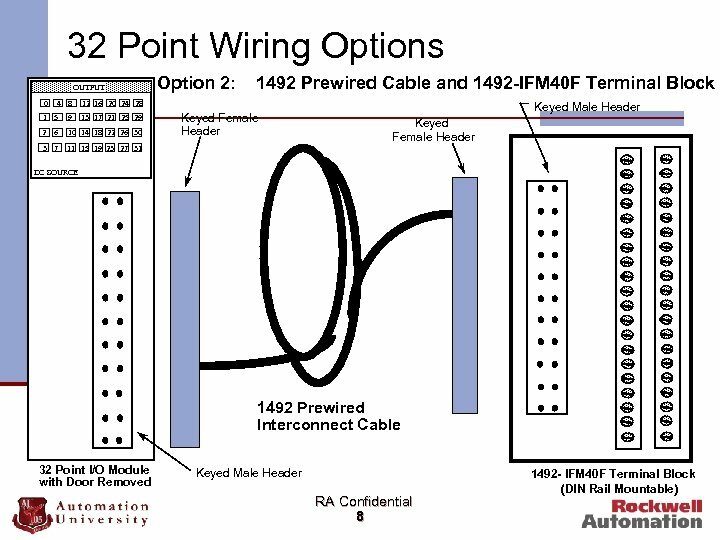 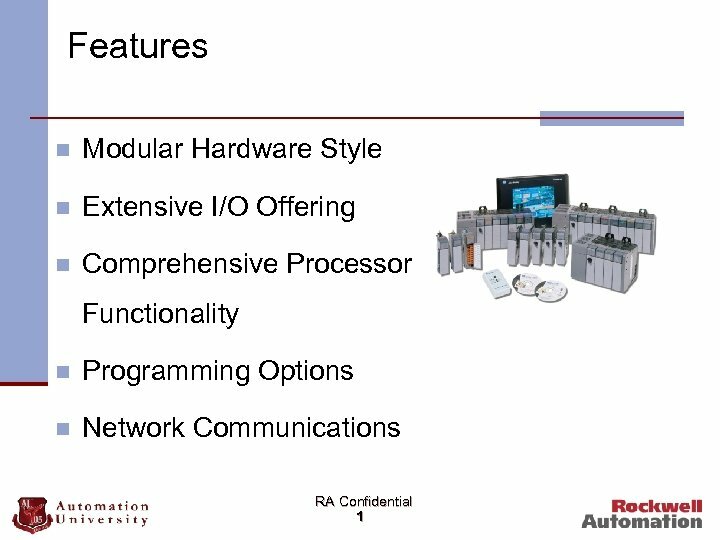 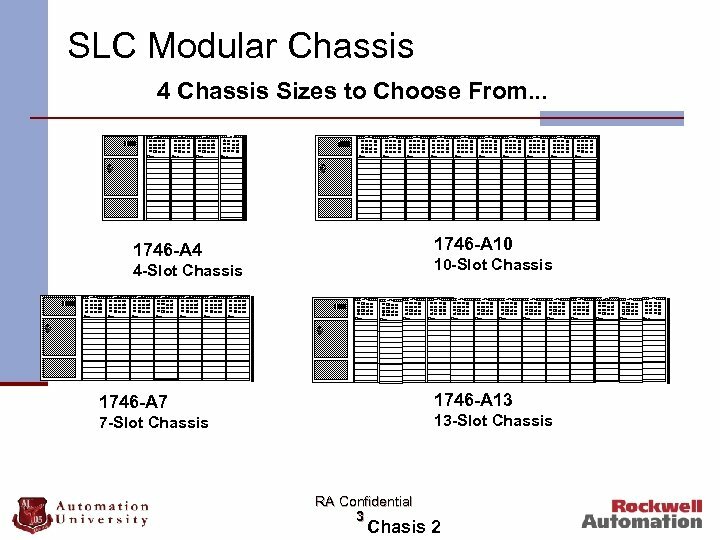 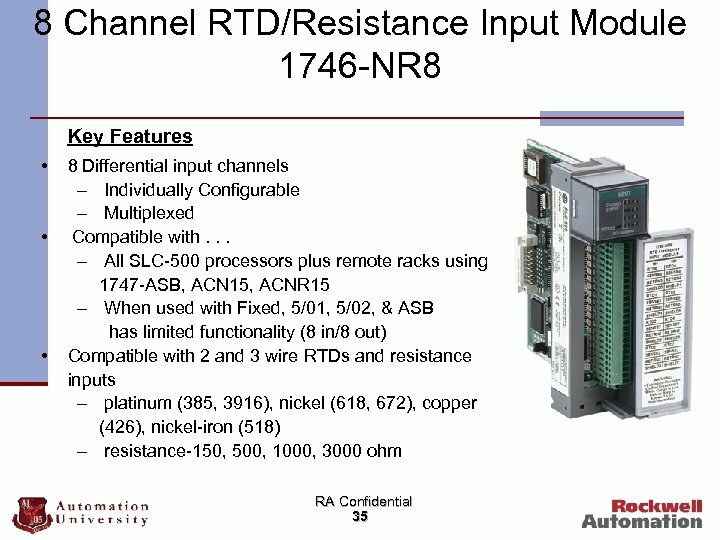 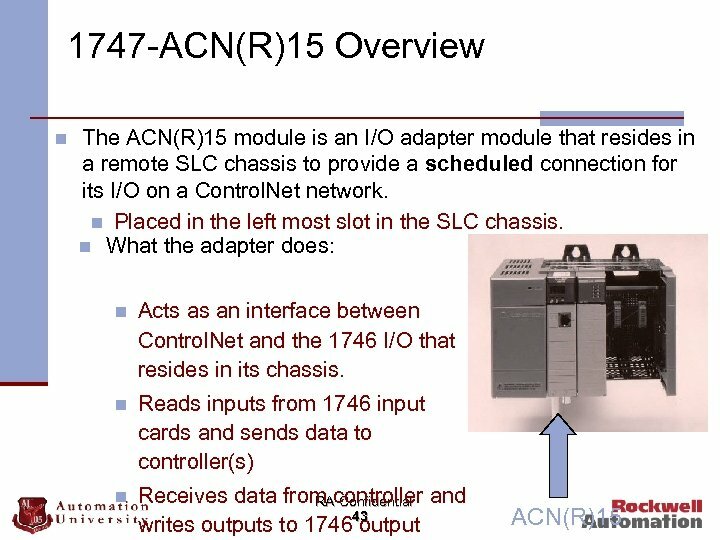 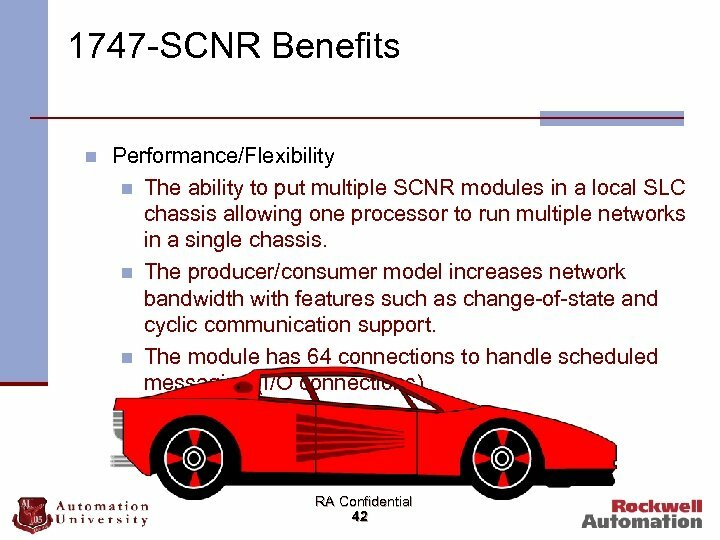 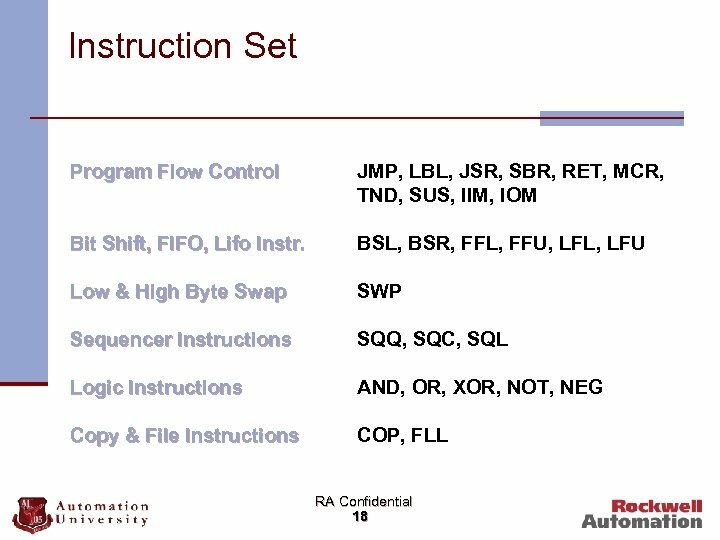 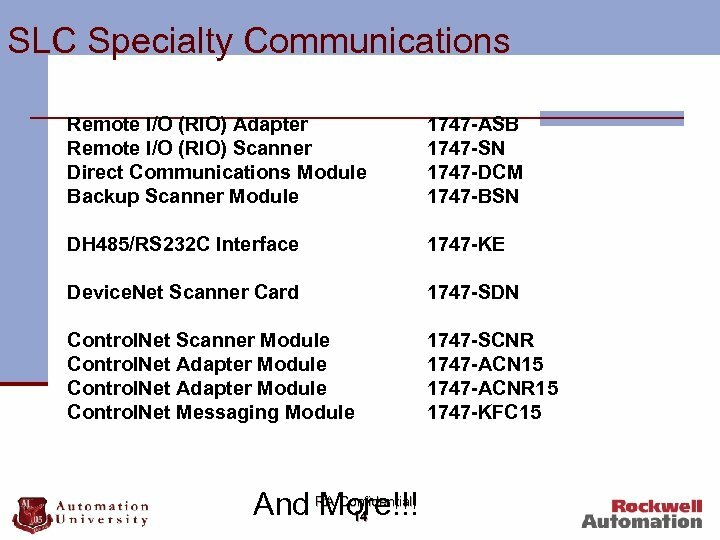 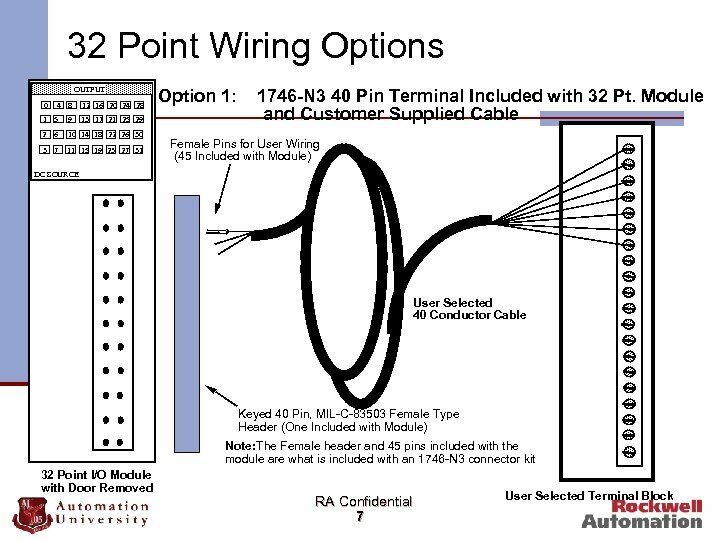 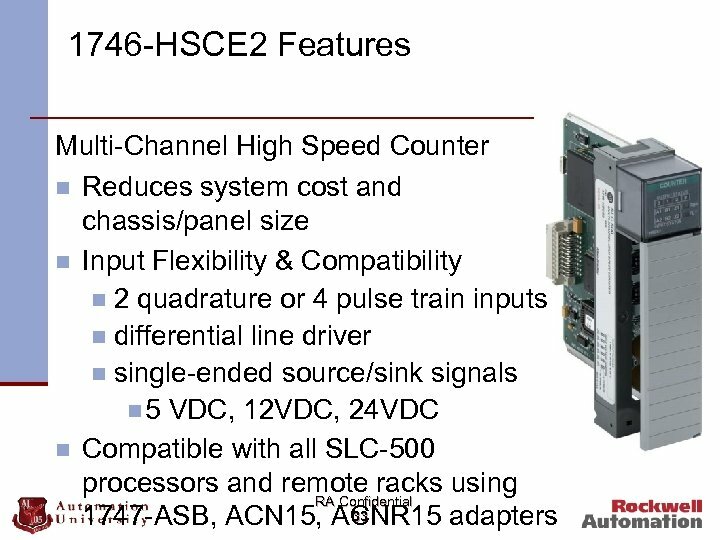 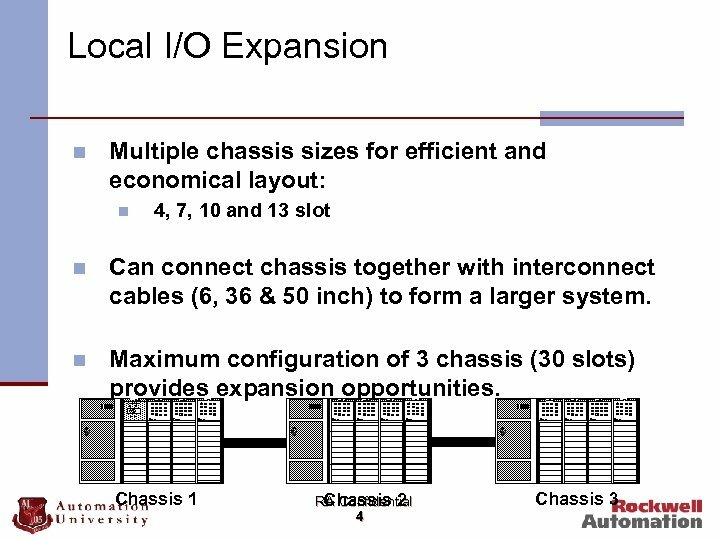 Logix n n. Educate customer on total switching costs, and other changes (e. g. RIO → D, C, E) n n Is looking for new technology, reducing costs, changing RA Confidential Sell n engineering procedures 21 Needs integrated motion, process Logix Architecture!